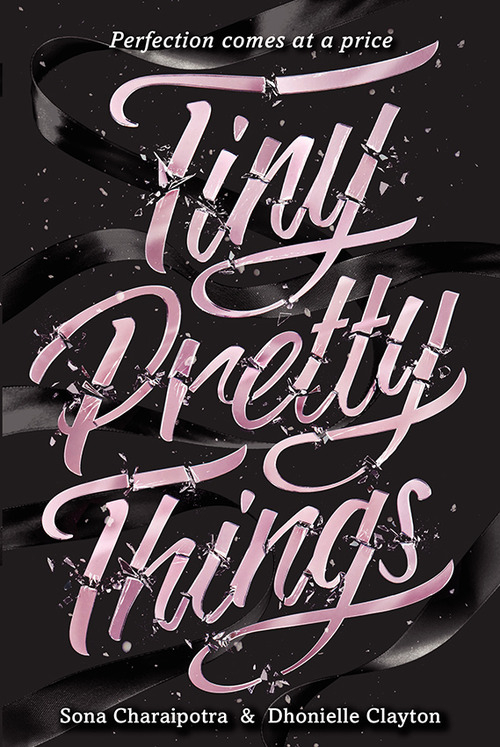 A newcomer to publishing landscape, Dhonielle Clayton is ready for the spotlight, with her first novel, the dishy dance drama Tiny Pretty Things, hitting shelves in May, and the first book in her fantasy series, The Belles, due in 2016. 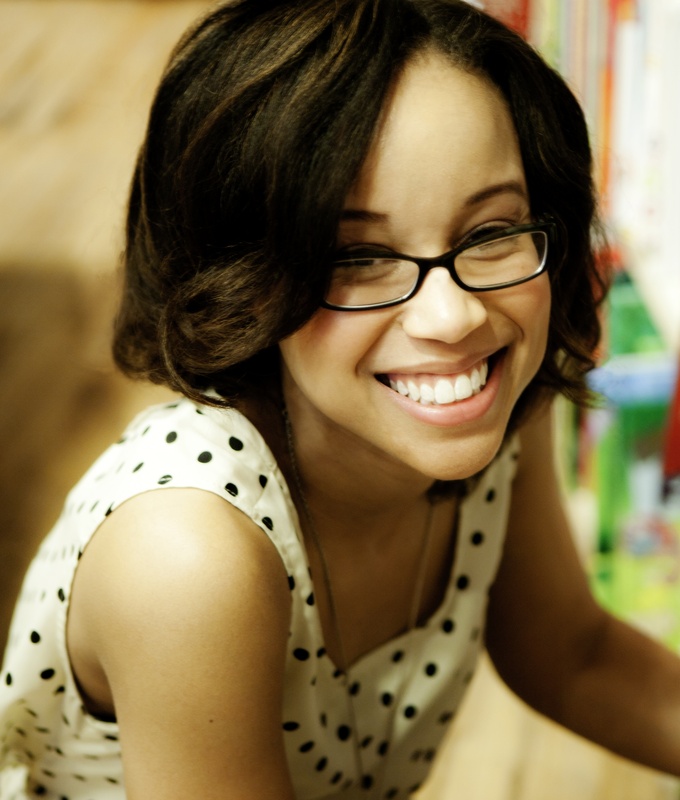 But while she may be a 2015 debutante, she’s already spent nearly a decade studying the book biz from the inside out, first as a grad student, then as an intern and reader for agencies, and now as the co-founder of CAKE Literary, a boutique book development company with a decidedly diverse bent. Welcome back, Dhonielle! I didn’t grow up wanting to be a writer. I wanted to be a doctor – the first doctor in the family. But if I were to look back now, the writerly seeds had been planted early on. I wrote stories in notebooks, created doodles and comic strips, and my dad took me to the bookstore almost every Saturday. I read everything I could get my hands on – from magazines to newspaper articles to books and comic books. I annoyed my teachers with wanting to go to the school library every day, even if it was just to smell the paper and glue and ink scent that came from library books. They would probably not be surprised that I am also a school librarian now. I also weaseled my grandfather – who picked me up from school every day – into getting me a slice of Jerry’s pizza and taking me to the library instead of going straight home to do homework. I was a reader, through and through. My dad read several books a week, so it was natural that I would follow in his footsteps. I wanted to read the books he read: Dune, The Hobbit, and space operas. When I landed in college at Wake Forest University, I failed chemistry my freshman year, and my dreams of being a doctor fizzled. I didn’t love the course load, and found myself spending most of my time working on essays and reading responses for my Lit classes. Once I changed my major from pre-med to English, I hit another roadblock – the books I had to read were overwhelmingly Western and overwhelmingly white. I got bored and frustrated. I returned to the classics I loved as a child – The Westing Game, The Chronicles of Narnia, The Indian in the Cupboard, James and the Giant Peach, The Secret Garden – and I found major problems. The lack of diversity in the texts, problematic portrayals of children of color and native peoples, and a general erasure of diversity. The magic, mystery and joy no longer existed for me. I couldn’t believe I’d read and loved these books. I made a decision to try to do something about the all-white world of children’s books in a two-pronged approach: through critical study of the canon and creative writing. I felt like I needed a scholarly background, so I earned my MA in Children’s Literature from Hollins University, and then earned an MFA in Writing for Children from the New School. I didn’t think I had the writing chops – but I had stories to tell and I felt like I’d read enough stories. I wrote for nine years, went through two agents, and had one close call with my first manuscript, before landing a publishing contract for Tiny Pretty Things. A lot of it had to do with meeting my business partner and co-writer, Sona Charaipotra, and the development of CAKE Literary. I still return to J.K. Rowling’s Harry Potter series before I start a middle grade project. The imaginative and whimsical world she created is truly transportive. Her series takes me back to the young reader I used to be – the magic is there. I literally fall into the world she’s created. My stories are inspired by questions and fears. Mostly, my fears. I build characters around my emotional fears, and sometimes worlds around my literal fears. Tiny Pretty Things came out of my experiences at ballet boarding school that I worked at after I graduated college. I taught pre-professional ballerinas English, and harassed them about their grammar. I loved watching them dance, and felt inspired by the sheer determination they had to reach their goals. They were also beautiful dancers who expressed their artistry through their bodies. I envied their confidence and vulnerabilities. After starting my MFA at the New School, I hung out with my partner-in-crime and work-wife, Sona Charaipotra a lot before and after classes. I was working as an intern for a literary agency, and complaining to Sona about the lack of diversity in the submissions the agency would receive. We commiserated with each other about how we didn’t get to see enough of ourselves in the books we read as kids – and sadly, the publishing landscape hadn’t changed very much in the decades since then. We discussed starting a packaging company as a way to help address the problems with the lack of diversity for children’s and teen fiction (and other media), and I thought it would be a good idea to co-write the first project from the venture. I mentioned wanting to do a ballet novel – one that reflected the real diversity I saw in my time at that school. Because what teen girl doesn’t want to see characters like themselves embroiled in lots of drama? Sona jumped on it with the perfect pitch – Pretty Little Liars set in a ballet boarding school. This book perfectly encapsulates CAKE’s approach to broadening the landscape: a rich, organic layer of diversity in a high concept, page-turner of a narrative. Diverse and delicious! When I think of the state of the children’s/teen book industry in terms of writers of color and diverse stories, I imagine a brick wall. Personal relationships, bottom lines, bookseller connections, editorial tastes, and mainstream story-telling conventions dictate and govern the market. On bad days, I feel like I’m back in high school where cliques run rampant, and I’m on the outside again. But the rallying cry for diverse books has the power to push against the wall and send strong roots and fibers through it to start breaking down its surface. For me, it starts by understanding the bricks. How does the children’s/teen marketplace work? What kinds of media dominate and why. How does one get in the door? Knowing the answers to these questions, we can push through the wall. Because to me it’s not about separate but equal. It’s about infiltrating the mainstream so it becomes reflective of reality. It’s about time! I’ve heard the backstory on CAKE, but hadn’t heard as much about its individual contributors – what a great job, to teach athletes and artists as they create! An unusual start to the journey has shaped an unusual author – can’t wait to see all the stories from her!